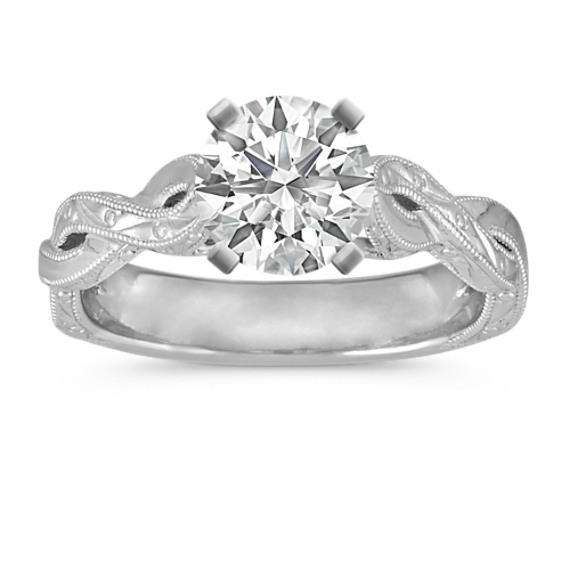 Vintage Engraved Swirl Engagement Ring | Shane Co.
A vintage-inspired engraved detailing is beautifully displayed by this elegant engagement ring. The engraving swirls with a polished finish in the design to create an infinity style. Complete this 4mm setting, crafted of quality 14 karat white gold, with the center diamond of your choice.